Antony Cummins is Dangerous - What can be done about this? Antony Cummins is dangerous. In this second part of my Antony Cummins FAQ (see Part 1 - Antony Cummins is a Fraud) I'll explain why what Cummins is publishing and asking "students" to promotes a high risk of injury, contradicts every safety standard imaginable, common sense, and why he is a threat to legitimate martial arts and their continued practice in the UK and Ireland. Samurai Swords, katana's, are sharp. Very sharp and very dangerous. I discuss this in detail in my article on why you should not buy a shinken (live cutting blade). This is common sense. Antony Cummins is aware of this fact. In this in depth FAQ I'm going to share with you my opinion in regards to Cummins work. And for his students, supporters and those interested in the material he presents I'm going to give you a selection of further resources where you can learn authentic and accurate information and receive proper safe instruction. 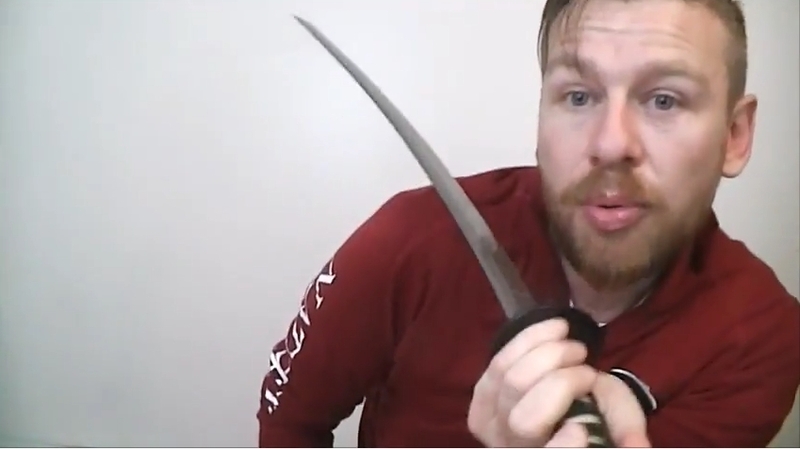 "The first thing you have to realise is you do not need any training, you need zero training to hurt someone with a sword....Samurai Swords are bloody dangerous, right, it doesn't matter how well trained you are". And Cummins is 100% correct in one of these statements. Samurai Swords are bloody dangerous. 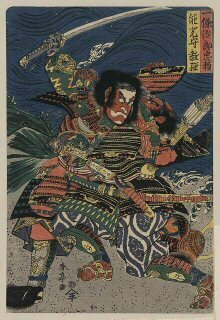 This is why many schools of legitimate training use iaito, blunted softer metal swords made of zinc and aluminium or sometimes unsharpened steel known as mogito. This reduces the danger of severed fingers, sliced nerves and deep wounds. Yet they can still be dangerous, as demonstrated by a tragic incident in February 2016 when actor Daigo Kashino, 33, died as a result of being stabbed by the pointed end of a blunt "prop" sword on the set of period drama. He was not a trained swordsman. He was not practicing in recognized ryu and was using a prop that because it did not have a sharp edge was deemed safe. It was all but. This is why in any legitimate school of martial arts, especially those of the koryu who specialise in the use of samurai swords, safety is of paramount importance. It doesn't matter if you are using a shinken, a dull iaito, or a wooden bokken - each tool is treated with the utmost respect. Further the techniques of swordsmanship are such that the cutting edge of the blade is not aimed at oneself. 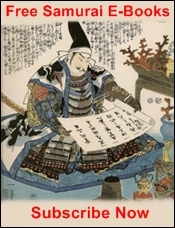 While the cutting edge, that Cummins demonstrates so easily cuts, comes close of flesh of the hand during the re-sheathing of the blade into the scabbard, in the Muso Shinden, Muso Jikiden Eishin Ryu, Enshin Ryu, Toyama Ryu, Keshi Ryu, Hosoda Ryu, Katori Shinto ryu and various other styles I have studied, the cutting edge of the blade is never aimed at oneself during a technique and certainly not at a vital and easily sliceable target such as the axillary artery or the carotid artery. It would be the height of poor tactics to aim a sharp blade at oneself. This is incredibly obvious with a live, sharp shinken, but it applies just as much to dull blunt iaito (don't practice movements that you could replicate via muscle memory with a shinken - and iaito can still injure and kill) or a Bokken, again muscle memory - and a jagged cracked shaft of wood can cut and tear flesh too. This is seems incredibly obvious, doesn't it? Don't run or aim a three foot razor blade along yourself and absolutely do not aim it at exposed flesh that could cause you to rapidly bleed out and die. It's a remarkably stupid idea isn't it? It's not safe, it's not smart, and it offers no tactical advantage, no functional advantage and will highly likely result in injury or death. 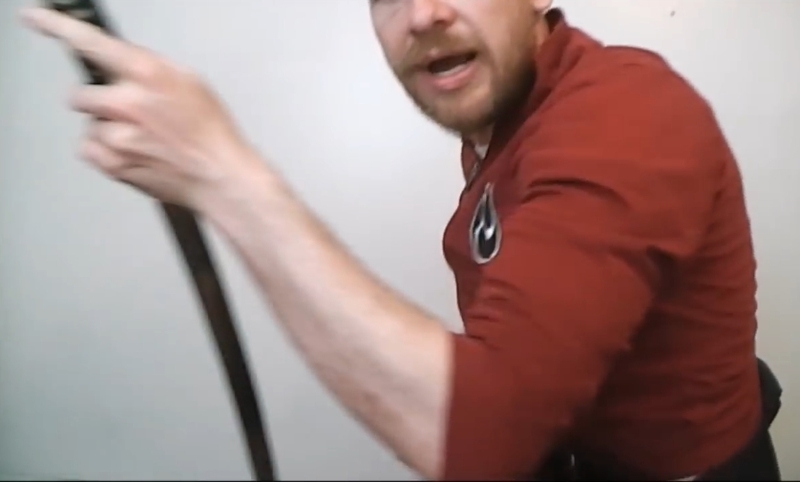 Imagine if you walked into a dojo and you saw the teacher recommending a technique and teaching a technique that required you to run a sharp edged weapon along your waist, under your arm pit where the artery that feeds your heart runs, or along the side of your throat. Stabbing backwards, in uncontrolled madness with a three foot razor blade. You'd turn on your heels and immediately walk out wouldn't you? Such a thing is beyond idiocy. Such a thought terrifies me; that genuine enthusiastic students, could be duped into doing something so foolish, so absolutely dangerous. And this is why Antony Cummins is dangerous. Antony Cummins is dangerous because he is that instructor. He is a man who chastises his "students" for not training hard enough. For not practicing this "technique" enough and then goes on to demonstrate EXACTLY what I have described, drawing a sword with the left hand and wildly stabbing behind himself, with no control, no guidance, just a blade edge facing the Liver, facing the axillary artery, slicing in front of the throat, inches from the carotid artery. Not the dull back of the blade. The sharp side. The cutting side. The killing side. Pointed, an inch away, from vital tissue. It's suicidal. It's shockingly irresponsible. 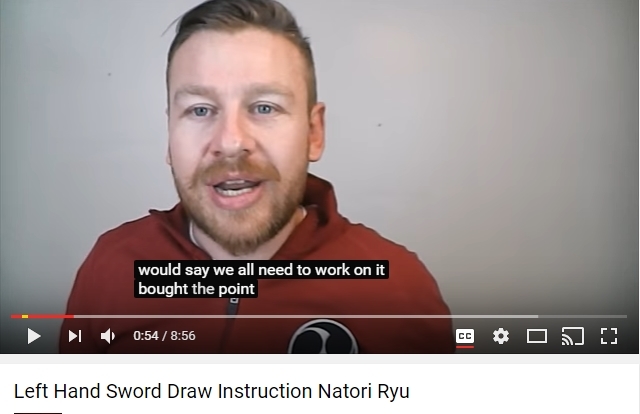 It's an instructional video by Antony Cummins titled, " Left Hand Sword Draw instruction Natori Ryu". Antony Cummins is dangerous because he encourages other to try this, deeply dangerous, utterly unjustifiable draw from a school he is trying to invent. And people do. 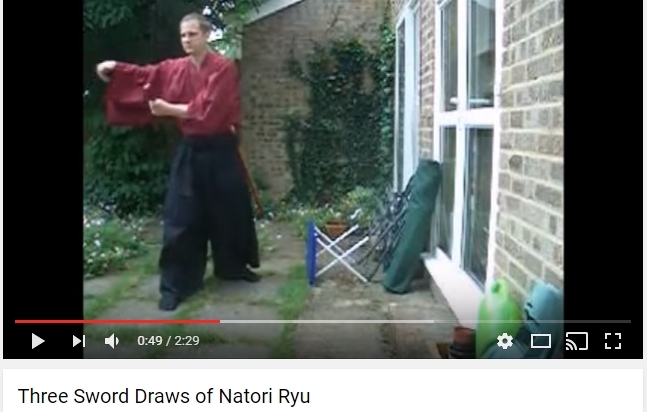 They watch this video and they try this - we know because Antony Cummins features them doing so in another of his videos titled, "Three Sword Draws of Natori Ryu" features clips students learning from Cummins videos demonstrating this terrifyingly irresponsible movement. But this is also an example of why Antony Cummins is a fraud. He has gotten this "technique" from a translated (see Part 1 - Antony Cummins is a fraud, for more on that) manual on a school called Natori ryu - the description, is as is nearly always the course vague and as Cummins has no training in koryu and apparently no common sense - I repeat DO NOT SLASH A SHARP EDGED WEAPON ACROSS YOUR BODY! - he has invented this deeply dangerous technique and then encouraged the poor untrained public to copy it and practice it. Antony Cummins claims to be researcher....yet someone has apparently not seen any footage of Mugai ryu - a classical style of swordsmanship that features left hand draws the thrusts to the rear. Even if he wished to make up his own version, he could perhaps have seen some of the common sense of the Mugai ryu - as their thrusts are characterised by having the cutting edge face away from themselves and towards an enemy and they anchor the sword with multiple contact points so as to ensure it finds an accurate target and cannot hurt them. 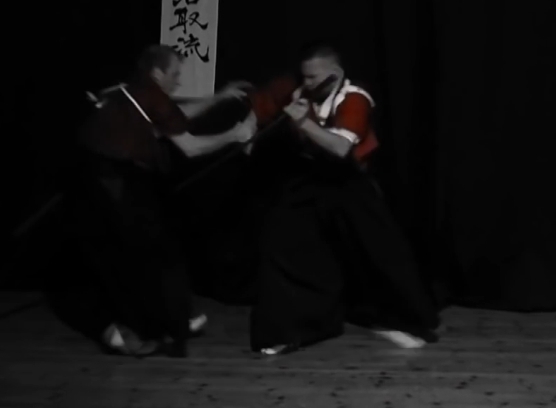 Many other styles, including my own primary style of Muso Jikiden Eishin ryu contain teachings on a single handed draw with the left hand followed by a thrust to the rear - but just like Mugai ryu, the swords blunt edge faces the wielder at all times, the cutting edge faces away at all times and the sword features multiple anchor points of contact to ensure safety and effectiveness of technique. Antony Cummins is dangerous because he disguises his fraudulent teachings in the wrappings of legitimacy, claiming to be a researcher who evidently ignores research in favour of simply making things up from the vague suggestions he reads. Back in the 1980's when the Ninja craze was at its peak fuelled by movies such as American Ninja, the United Kingdom, the country where Antony resides was a bit worried. And by bit I mean very. In the UK, there is an organisation called The British Board of Film Classification (BBFC), who were established in 1912, with the duty of rating all videos released commercially to the public. Of course, today this includes all cinematic movies and films, home videos, DVD's, and Bluray. They are even currently debating internet video shown in the UK, but that may be a little tricky to follow up on. Today we are all familiar with the age ratings of movies, G, PG, 15, 18 etc. This is a legal requirement for having the film released and screened. Legally, you are not allowed to sell a copy of that film or a ticket to see it, to anyone under that age or face fines and prosecution. However, in the early and mid 1980's video (VHS), for home viewing was a brand new thing. As such the BBFC didn't have to legally classify them yet, and that meant they could be sold to anyone. Kids and teens were able to walk in and buy or rent Ninja movies. Movies that today would be classified as at least 15's if not 18's or a hard R.
Some people in charge became deeply concerned, laws were changed, and a list of movies that had to be banned or heavily censored was published, famously including the complete ban of classic Samurai revenge film, "Shogun's Assassin" and the extensive editing of "Enter the Dragon". "The success of Enter the Dragon, and the kung-fu genre in general, saw public concerns arise at the concurrent spread of the use of chainsticks (or nunchaku) and other martial arts weaponry among London youths. Media coverage of the issue caught the eye of Stephen Murphy’s successor as BBFC Secretary, James Ferman. In December 1979, Ferman recalled Enter The Dragon for another look in the light of these anxieties. Ferman asked the film’s distributor to remove sight of chainsticks in the fight sequence between Bruce Lee and his attackers. The images of chainsticks were also requested to be removed from the film’s trailer and its promotional posters. The removal of chainsticks, as well as other martial arts weaponry such as throwing stars and flails, soon became standard BBFC practice with the advent of VHS bringing violent kung-fu films into the home in the early 1980s. When Enter The Dragon was classified for VHS in 1988, a kindlier view of the film’s violence was taken. The original five cuts were reduced to two; however, sight of the chainsticks remained cut. 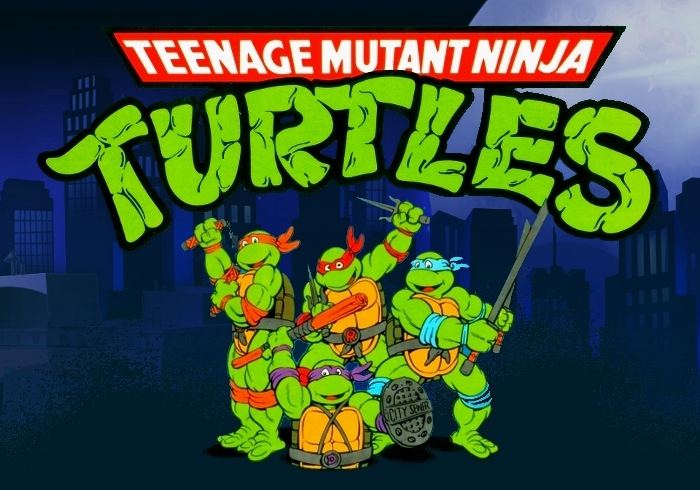 This concern over martial arts weaponry and the associations with the Ninja continued as noted above into the 1990's to such an extent that the popular children's cartoon the Teenage Mutant Ninja Turtles we rebranded as the Teenage Mutant HERO Turtles in the UK and Ireland and that Michelangelo's (the turtle wearing the orange bandana) nunchaku were removed and replaced with a non-offensive grappling hook. This is how serious a problem they viewed Ninja and martial arts weaponry, because there was no control over silly demonstrations in silly movies and the impressionable people who watched it. Above: US - The NINJA Turtles. Note the Mikey's Nunchaku. Right: UK - The HERO Turtles. 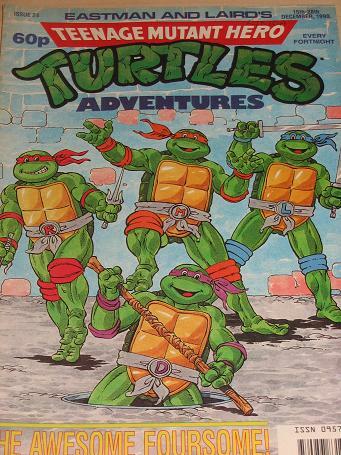 Note Mikey is the only one unarmed Nunchaku. Of course, kids had already been exposed to deadly ninja weaponry and how cool it was. It became a troupe of comic books and bad ads and worse fraudulent martial arts teachers. So what on earth has this do with Antony Cummins? Very simple in the 1980's bad videos showcasing made up Ninja and Samurai martial arts resulted in the banning of legitimate martial arts equipment. Antony Cummins is dangerous because when someone is injured from watching his videos in the UK, this could lead to a crack down on the remaining martial arts equipment available to us, such as Iaito and Katana. In fact, such incidents have already occurred and it has lead to increasing restrictions. "She has good claim to being Britain's most skilled swordswoman. She practises Iaido, a Japanese martial art which uses the sword, and is one of only three women outside Japan to be graded a seventh dan. 'I am concerned. It depends on the small print. Martial artists using swords begin with a wooden one, progress to a blunt weapon and finally start using a razor-sharp blade. 'These weapons could be banned if the government goes too far.' 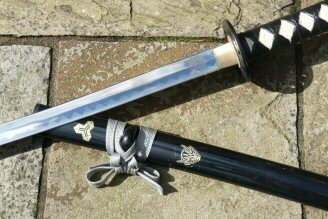 "
Thankfully due to the efforts of organisations such as the BKA some small exceptions were made for registered martial artists, re-enactors and even certain genuine Japanese swords with artistic or antique value. 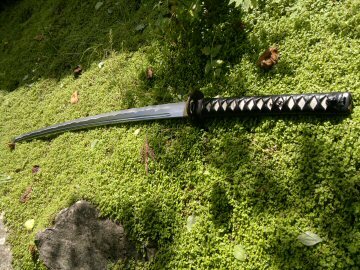 And later, a further amendment to this act was passed, coming into effect on the 1st of August 2008, which further exempted curved and samurai swords which are handmade using traditional forging/production methods. Antony Cummins is dangerous as his actions undermine those of responsible, educated, legitimate martial arts instructors. These men and women are members of organisations who work on behalf of those seeking to study a genuine martial art and koryu and ensure that exemptions allowing the legal continued practice of these arts is possible. Meanwhile Antony Cummins is encouraging people to slice themselves open. And while Cummins looks down on those martial artists who are members of organisations - they are members of those organisations because of the protections those organisations provide, in terms of access to legitimate, qualified instructors, access to insurance, access to safe training environments and of course resources to secure exemptions to new laws that could ban the arts we so value overnight. On the matter of insurance, I have yet to see any statement from Cummins regarding the insurance for the Natori Ryu school. Does he have public and private liability insurance; should one of these online Natori ryu students be injured by his dangerous made up techniques do they have any recourse? Nerve damage and severed digits are serious matters that will have a life altering effect on the injured party. Is the Natori Ryu prepared for that? Antony Cummins is dangerous because he openly teaches his uninformed interpretations to the public and offers no assurance of taking any responsability for the ramifications such unscrupulous teachings could cause. Of course, one could say I have no skin in this fight, I'm in Ireland, a separate country - if Cummins antics result in injury and the outright ban on sword, or even certain martial disciplines in the UK, that won't affect me. Sadly, it more than likely will. Irish Law, while sovereign and totally separate to the UK has a tendency to copy it somewhat. All the items banned in the UK 1988 statue - we copied that wholesale in Ireland. The 2008 sword ban in the UK? 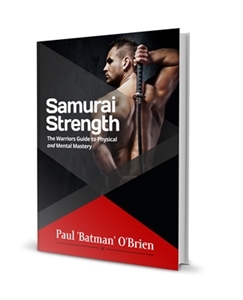 Yep we copied that too and in April 2009 the Irish government banned Samurai Swords. "Samurai swords will be outlawed from tomorrow under tough new laws combating knife crime. Those caught manufacturing, importing, selling or hiring the potentially deadly weapons could face up to seven years in prison". Unlike the UK we in Ireland did not specify length and in fact the law applied to anything even vaguely like a samurai sword. 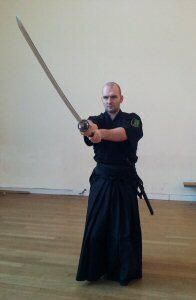 Thankfully the Irish government contacted the Iaido Association of Ireland, of which I served as President, and we were able to include exemptions that allow us to access Iaito - the imitation swords used in Iaido and in special circumstance shinken. However there are restrictions, on these - one of them being a member of a legitimate martial arts organisation. 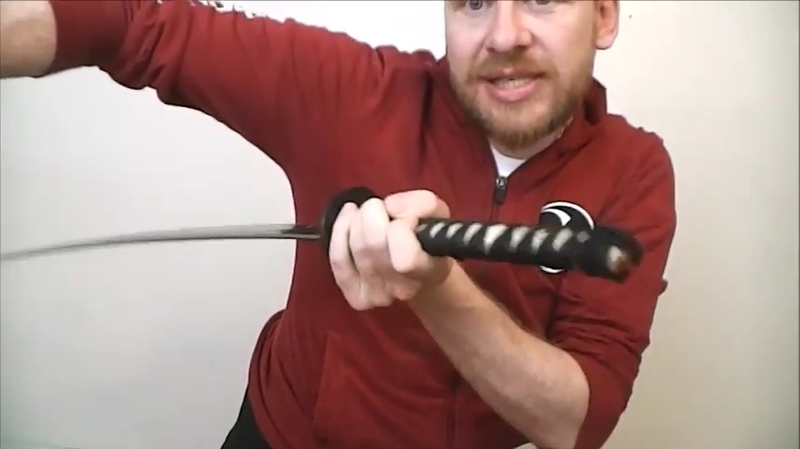 Purchasing and using an iaito or shinken samurai sword to practice the invented techniques from schools such as the Natori Ryu would be, in my opinion, direct violation of the law, and while I am not a lawyer or offering legal advice, I would be confident of saying that such a person would be in violation of the law. I am not familiar enough with UK law or the specifics of the amendments but there is a good chance, just as there would be in Ireland, that in the UK Antony Cummins is dangerous because he is breaking the law and encouraging others to likewise (if in the UK or Ireland at any rate). Antony Cummins is not a member of the BKA or according to his own words, any organisation. Nor is Antony Cummins practicing a legitimate martial art. If not in defiance of the law itself, he is certainly in defiance of its spirit, as this law was designed with the goal of minimising precisely what he is advocating. Antony Cummins invents nonsensical techniques based on his reading of an old text without context. Antony Cummins represents a real danger to the safe continued practice of legitimate martial arts in the UK and Ireland. 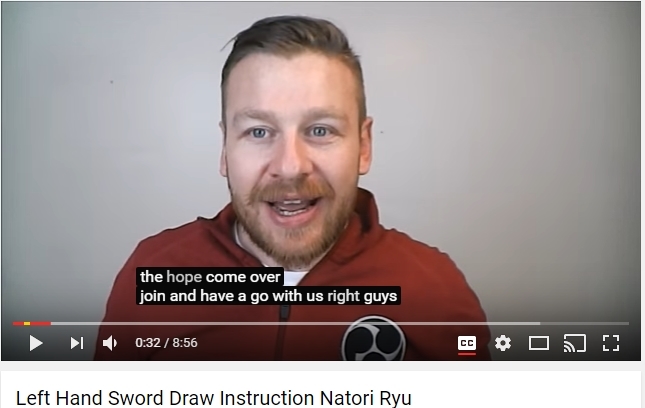 In Part 3 I'll cover more issues with his ignorance of martial arts and most importantly how he is lying to people regarding the material he is selling them via Natori Ryu, including his attempts to monetize the teachings of Musashi, which as a student of Hyoho Niten Ichi Ryu, I find somewhat distasteful. Check out Part 3 - here.